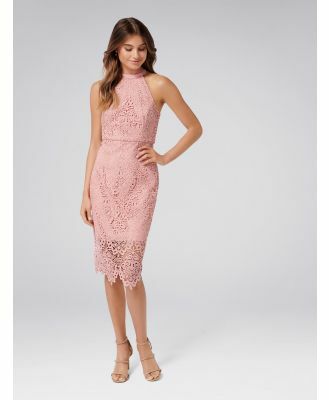 Dress by Hope and Ivy, Crew neck, Ruffle detailing to sleeves, hem and back, Backless design, We've got your back, even if this doesn't, Strappy, lace-up fastening to reverse, Zip closure, Slim fit, A narrow cut that sits close to the body. Prom queens and wedding guests, claim the best-dressed title in Hope and Ivy's occasion-ready collection. Shop its notice-me styles for hand-painted florals, Bardot necklines and figure-flattering pencil dresses.